The upscale condominium development 64@theRiv is under construction at Indian Canyon Drive and East Via Escuela in North Palm Springs. Phase I of the project, including model homes, is expected to be completed in August. RENDERINGS COURTESY NDC HOMES, INC. The resurgence of North Palm Springs is showing no signs of slowing down. To the opening of the Arrive hotel, the renovation of the Riviera, and the debut of innovative restaurants such as Draughtsman and Sandfish by Engin Onural, we can now add the planned condominium development 64@theRiv. 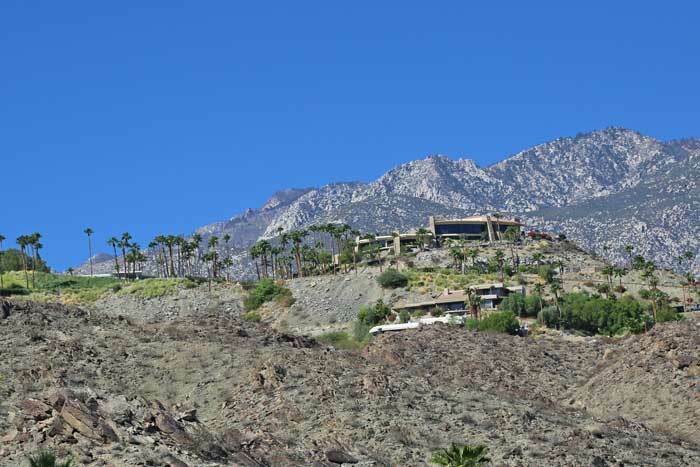 The builder behind the project is Palm Springs Modern Homes, which made its mark in 1997 with 12@Dunes Court off East Sunny Dunes Road and has since designed and developed more than 300 homes at communities that include 18@TwinPalms, 43@RacquetClub, 48@Arenas, and 45@TheVillas. 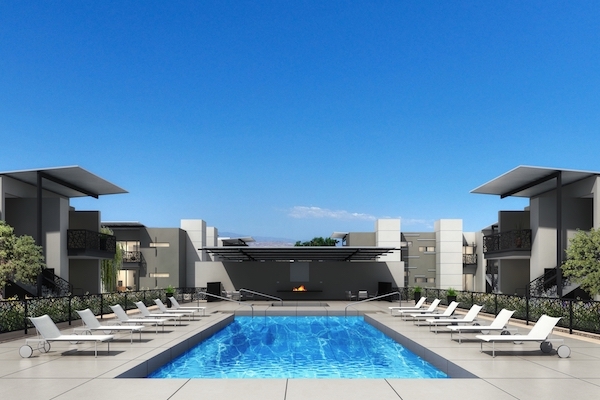 For 64@theRiv, the company has joined forces with local architect Chris Sahlin, who designed 18@TwinPalms. 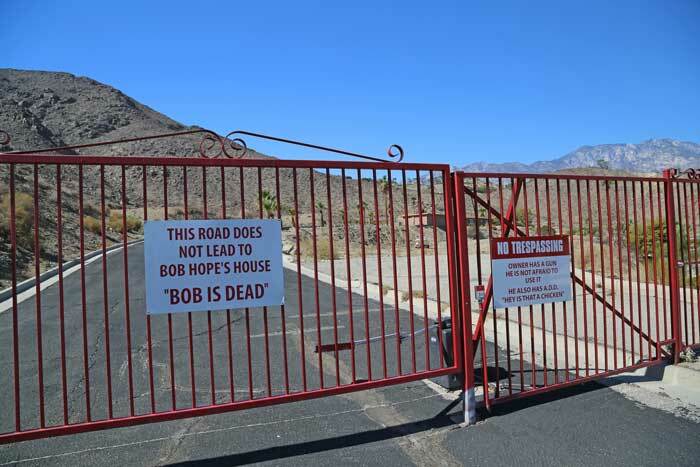 The new community will be located at the southeast corner of Indian Canyon Drive and East Via Escuela, adjacent to the Rivera Hotel, on a site that once housed the eponymous restaurant of former Palm Springs mayor Sonny Bono. Phase I of the project is expected to be completed by August, at which time prospective buyers will be able to tour model homes. Phase II has an estimated delivery of December, and the final phase should be finished in the summer of 2019. The community will have a 50-foot lap pool and spa along with an outdoor fireplace inspired by designer Philippe Starck. The 64 homes in the gated community will feature two floor plans, the “1500” and the “1200”, so called for the approximate number of square feet in each. The 1500 encompasses two bedrooms and 2.5 bathrooms in 1,501 square feet, while the 1200 has two bedrooms and two baths in 1,226 square feet. Both plans will showcase living spaces with nine-foot ceilings and an open, social kitchen design. The bedrooms in the 1200 series floor plan, which has 1,226 square feet, flank the living area. Low-level units will have three outdoor patios. Interior features will include 24-inch-square porcelain flooring in the living areas, carpet in the bedrooms, and smart-home pre-wiring for speakers in the great room and master bedroom. Kitchens will feature quartz countertops, Whirlpool appliances, and Grohe fixtures, while bathrooms will have floating vanities, Grohe and Kohler fixtures, and frameless glass shower enclosures. With 1,501 square feet, this plan has two en-suite bedrooms. Kitchen features will include quartz countertops and backsplashes, Whirlpool appliances, Grohe fixtures, and under-cabinet lighting. 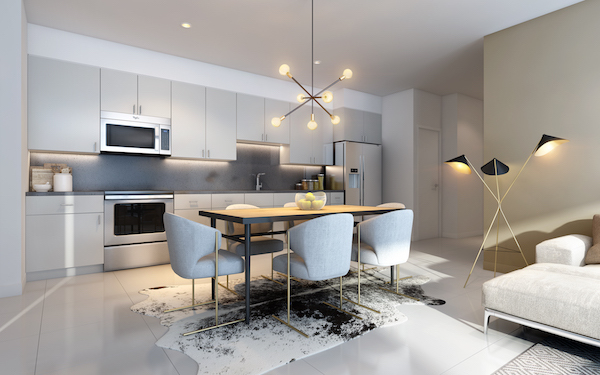 The open-plan living areas will have nine-foot ceilings and 24-inch-square porcelain tile. “Another stand-out feature is that we are an eco-friendly development,” says Curry. “Each unit will include a 3kW solar system, tankless water heaters, LED dimmable lighting, and high-efficiency HVAC. There will also be community car-charging stations.” In addition to the pool and spa, outdoor amenities will include a greenbelt with walking and exercise paths and a dog park. Every buyer will receive a 64@theRiv membership card entitling them to special services at the Riviera, such as discounted spa packages, meals, and room rates. The homes will be priced from $395,000 to $475,000. 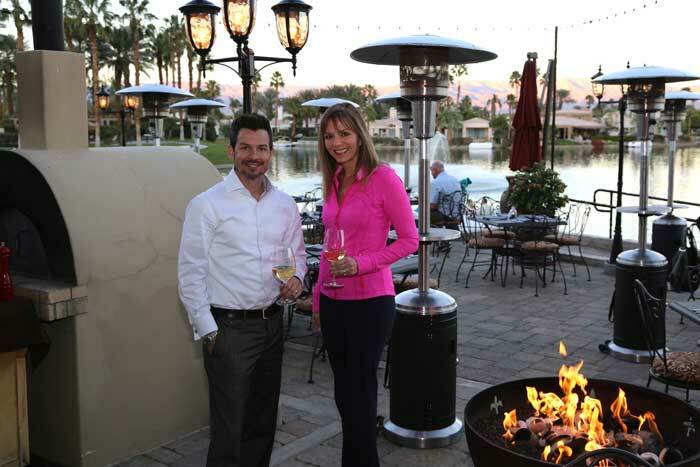 With La Quinta temps in the mid to high 80’s this past week it was an easy choice for our video crew to choose to update our video tour of the Lake La Quinta community. Towards the end of the shoot, my husband Bill shot some footage at Chateau Lake La Quinta, located at the western end of the lake (formerly the Lake La Quinta Inn). While at the Chateau (sounds pretty classy), Bill notice they’d remodeled their restaurant and renamed it Melange. They added a large bar in the center of the room and feature a new menu. Naturally, further investigation into the new space and menu was necessary, so Bill suggested that we go back that evening. After twisting my arm, Bill and I headed for the Chateau (I just love saying that– Hey everyone we’re off to dine at the Chateau!). Upon arrival, Bill took photos of me with manager Chris. By 6 PM the joint was jumping as people enjoyed a mild evening on the lakeside deck surrounded by fire pits and space heaters of course. We started our evening there by sharing a Caprese Salad. We both agreed it was likely the best Caprese salad that we’ve had in the entire desert. For my main course, I thoroughly enjoyed the Tasmanian Ocean Trout. This Petuna ocean trout has been called the “Wagyu of the sea.” My fish was served with mushroom risotto and baby vegetables. Bill went for the Newport Pork Chop. Now I’m not a big meat eater, but after sampling a bit, I have to admit that I enjoyed several more bites. At 16 ounces this was a big farm raised pork chop, served with sweet corn, red and green peppers, country mashed potatoes and a delish apple brandy demi-glace sauce. One word sums up this entrée–Yum! 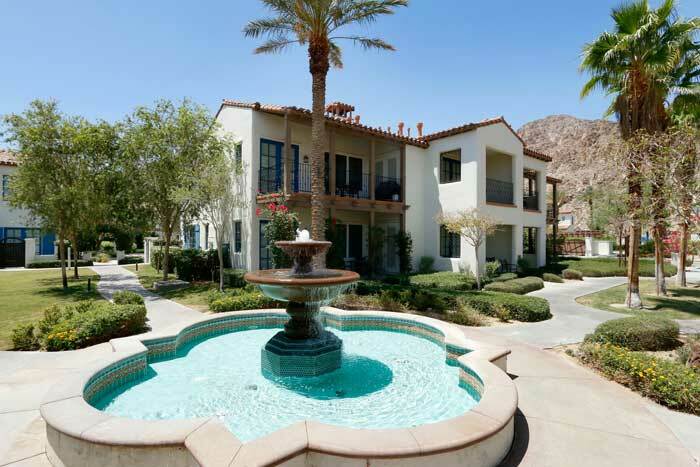 Homes at Lake La Quinta are located both on and off the lake. Lakefront homes have their own boat docks. Here, homeowners and their guests can enjoy a variety of activities including a cruise on their electric boat (or rent the HOA boat). Kayaking, fishing, tennis and hitting the community park or pool are other popular Lake La Quinta activities. We dined at and reviewed the Chateau restaurant here in our blog in May of 2015. I can honestly say that the new menu and improvements are a big hit. Reservations are suggested. And if you go, please say hello to the manager, Chris. In the photo below, taken further up the hill is the small, gated luxury community of South Ridge. And the home at the top of the hill in this photo is “The Elrod House” by architect John Lautner, who just happed to be an apprentice to some guy named Frank Lloyd Wright early in his career. For James Bond fans, the Elrod House was featured as the ultimate bachelor pad in the ’71 Bond film Diamonds Are Forever. This home features 25 foot-wide hanging glass curtain walls that retract to open up the living room. The home was built in '68' for interior designor Arthur Elrod. Further up the hill and beyond The Eldrod House is another famous John Lautner masterpiece, this is the former estate of Bob Hope. Located at 2466 Southridge Drive, Palm Springs. The home is listed at $25 million (actually the number is $24,999,000). I’m happy to show it. The owners do ask for a banking reference prior to our viewing the property. Kudos to our marketing team as they were out and about in Palm Springs most of today shooting about 60 new photos of Palm Springs neighborhoods on a sunny 109º day. We’ll be uploading these new photos to our Palm Springs pages over the next few days.